The Internet has helped businesses evolve. The unblinking eye of technology has provided a window that never closes for companies to operate. Of course, the problem with operating a website that never closes is the potential for a steady stream of phone calls and support inquiries. For that reason, hiring out call center services is a popular option that has the potential to offer a number of benefits to businesses and organizations regardless of the industry they operate in. Saving money is a top priority for just about every business in existence. Hiring employees and maintaining a workforce have the potential to be an expensive situation. Using a third-party to handle returns, answer phones, offer corrections, and other general business tasks can save a company a lot of money. In short, contracting out services can net an organization cost savings based on simply not maintaining a physical workforce. Business tends to move in cycles, which is a basic element of just about any business. Instead of hiring additional employees to monitor stations, schedule overtime to deal with larger volumes, or worrying about delegating responsibility during vacation weeks, owners can utilize a call center subscription to achieve the desired flexibility. Basically, a virtual workforce becomes available regardless of operating hours, holidays, and time zones. Someone is always available to answer the phones, emails, or other inquiries. Investing in a workforce holds a lot of risk for companies. Training, education, and other investments are all part of the equation, but efficiency and performance are also key concerns. With call center based employees, businesses get the advantage of a professional and experienced workforce without the hassle of hiring or training. Since third-party providers maintain their own employees, companies simply have to select which tasks will be delegated and which tasks will remain in-house. Not every business is the same size and requires the same level of support. Many third-party call center providers offer different packages of services. Companies get the advantage of signing up only for the services needed, which creates a specific and scalable workforce. As the organization grows, the services being provided are designed to grow along with it. In short, third-party services allow businesses the freedom to choose what tasks are handled on a month-to-month basis, which keeps costs in line and drives productivity. 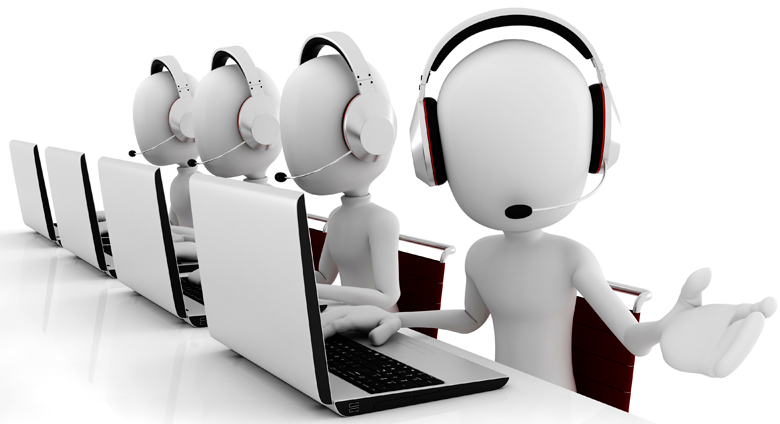 In the end, using a call center services can be a powerful asset for any sized company. Having a scalable and efficient workforce without a long-term investment can be a major win for businesses in any industry. Call center providers have become a popular option for startups and experienced businesses simply because of the flexibility and cost savings offered. After all, businesses should be able to operate effectively regardless of the owner being on premises. Many times just knowing a seasoned professional is ready to leap into action the moment the phone rings or the live chat button gets clicked offers enough peace of mind.